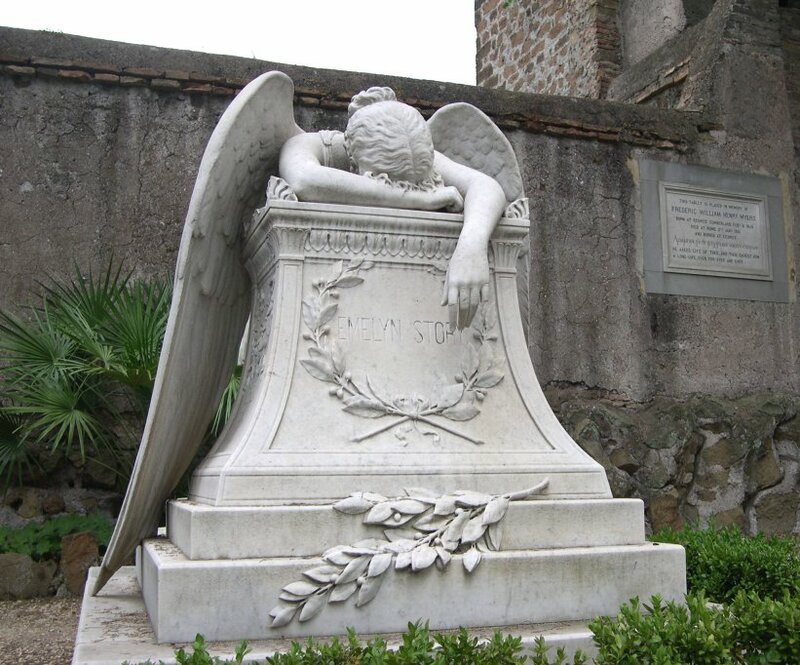 A beautiful angel lays on a tomb, grieved deeply for a loss. This statue is very famous. 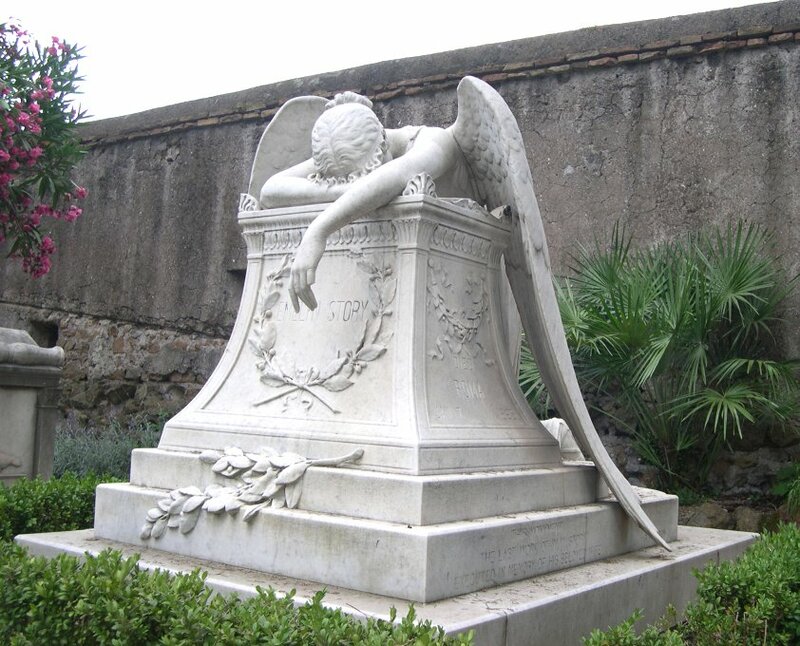 The original is in the Acatholic Cemetery inRome, where I took the photo. 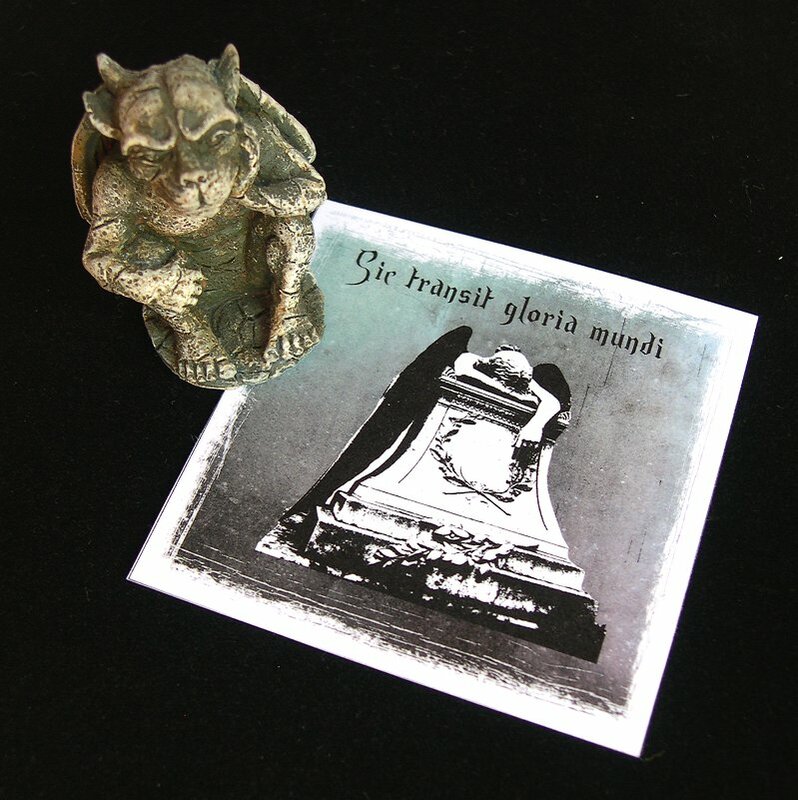 There are copies of this statue in the USA, some music bands ahve the picture of this statue on the cover of their albums, as Nightwish'sOnce. To stand in front of the authentic Angel of Grief is a great experience. 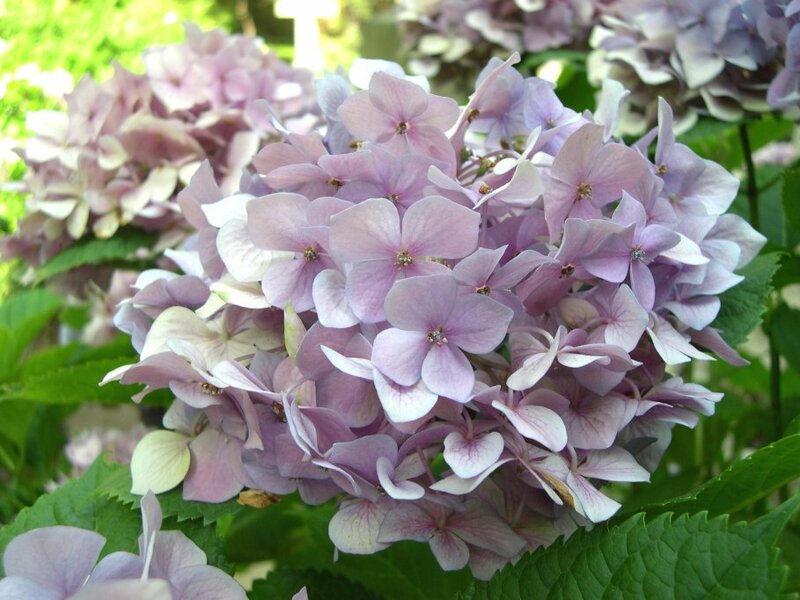 Among the tombs, in Spring and Summertime, there are a lot of Hydrangeas, so beautiful. The tomb and the silence of the old Cemetery reminded me the Latin motto "Sic transit gloria mundi". It is for "Thus passes the glory of the world", a motto to remember mortality and the passing nature of earthly glories.